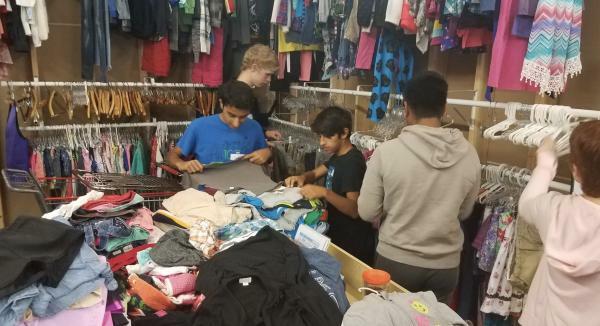 On Tuesday, October 8th, while most students were taking Columbus Day as a day to relax at home, the Boy’s Cross Country team volunteered their time at The Teen Bridge Center in Orland Park. The mission of The Teen Bridge Center is to provide free programs during after-school and unsupervised hours where students can develop mentally, physically, emotionally, and spiritually in a safe environment. 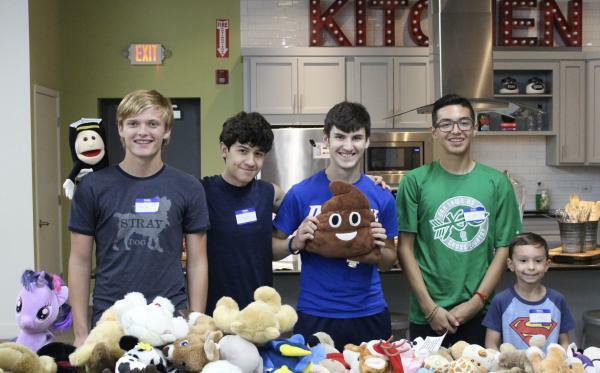 This non-for-profit organization offers hundreds of free after school programs to teens in grades 7-12 from 128 surrounding communities. 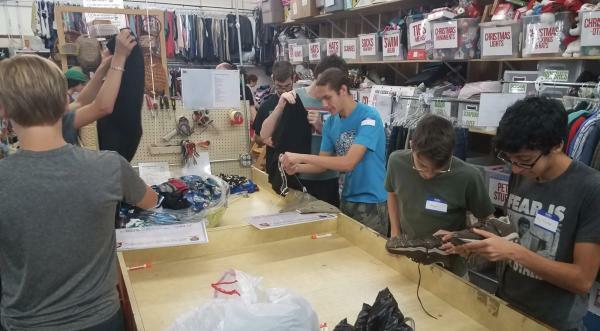 Majority of their funding comes from the The Bridge Thrift Store that is operated by the organization. 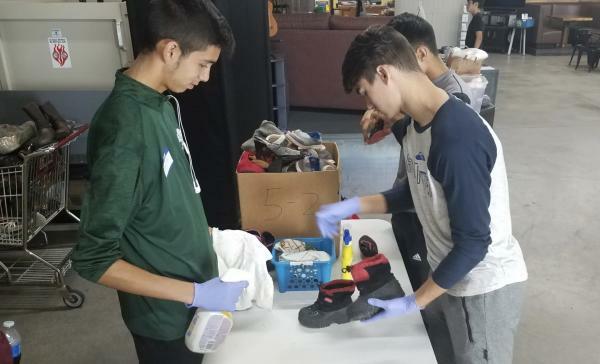 The team volunteered 3 hours for their time sorting, organizing, and pricing bags of donated clothes, shoes, toys, and other miscellaneous items. Their efforts were able to generate enough funds to provide programming for 2 teens for an entire year.